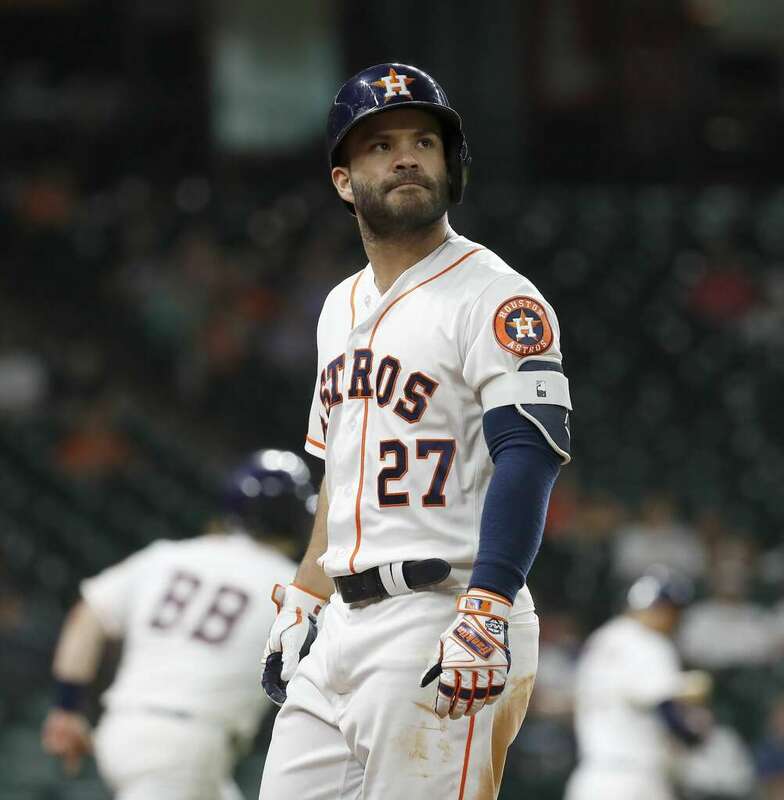 Tyler White homered again in the ninth inning but that was about all that was similar between Houston's dramatic 5-4 win over Oakland on Wednesday and Thursday's 5-2 defeat against Anaheim on Thursday in front of 30,000 and change at Minute Maid to open a four-game series. Andrew Heaney handcuffed the Astros on five hits and a walk over six shutout innings to even his record at 8-8. Justin Verlander took the loss for the ninth time despite five shutout frames preceding a four-run sixth that decided the game. Justin Upton lined a single to right off Verlander in the sixth to break the scoreless tie. Andrelton Simmons, who had three hits on the night, swatted a double that one-hopped off the left field fence as three Angels came around to score. Chris Devenski, newly reinstated from the disabled list, balked in the eighth with Shohei Ohtani on third for the final Anaheim tally. After Heaney and two relievers blanked the Astros through eight innings. Blake Palmer gave up a leadoff single to Alex Bregman in the ninth then, two outs later, White unleashed his 11th homer of the year to give him eight this month. Seattle stuffed the A's, 7-1, last night on the coast so Houston remains 2-1/2 games in front of Oakland with the Mariners now seven games back. The Astros will try to improve on their lackluster 35-31 home record Friday night in a 7:10 pm Central contest as Framber Valdez (2-0) battles Jamie Barria (8-8). Valdez won his first big league start last week in Anaheim. Before the game, the Astros announced that Manager A.J. Hinch had been given a 4-year contract extension through the 2022 season. Hinch has a 442-390 (.531) career mark including two partial seasons managing Arizona before he was hired by Houston. In four seasons with the Astros, Hinch is 353-267 (.569), including an American League title and a Worlds Championship. He has posted a winning record in each of his seasons skippering the Astros (2015-2018). It was also announced that catcher Brian McCann will start Saturday when rosters expand and he comes off the disabled list. McCann has not played for the Astros since July 1st when it was announced he would have knee surgery. The Angels also announced that Ohtani would pitch for the first time since early June when he starts for Anaheim on Sunday.